September has been an enjoyable, if bittersweet month for Dr. Franklin and me. Enjoyable, because I had the busiest summer season with Historic Philadelphia, Inc. in quite a long time. My thanks to many people, including the fine men and women of the National Park Service, the staff at the National Museum of American Jewish History, Christ Church in Philadelphia and all the other partners in our work of bringing history to life through free daily programming. A special thank you to Gerry and Marguerite Lenfest, the major financial benefactors that made this season possible. Their commitment to and passion for history is most admirable. I say bittersweet, because much of that work ended with the Labor Day weekend; but such is the nature of summer in this wonderful city. Fortunately, so much of my work is ongoing throughout the year. We continue with the wonderful Independence After Hours in Independence Hall. There are corporate meet-and-greets, including a recent gathering of electrical engineers from around the world at the downtown Marriott. Dr. Franklin loves electrical engineers, as you might imagine, especially these smart people who happen to be nice and also fun. This month was occasioned by my fifth year of joining my friends from the Philadelphia Hare Krishna community in their Parade of Chariots. They have been wonderfully kind and peace-loving, and it has been a pleasure to see them each year. I also joined the hip-hop artist JayIDK on a media tour one day in New York. Yes, I said hip-hop. I had been approached last month by Jay and his manager to lend Ben Franklin’s image to their project, Empty Bank. The theme of the project is the way that money, and the need to display it, has corrupted many an artist. If it is “all about the Benjamins”, then they wanted Benjamin. These people are wonderful people with whom to work, and they bring a solid, positive message. It has been my pleasure. 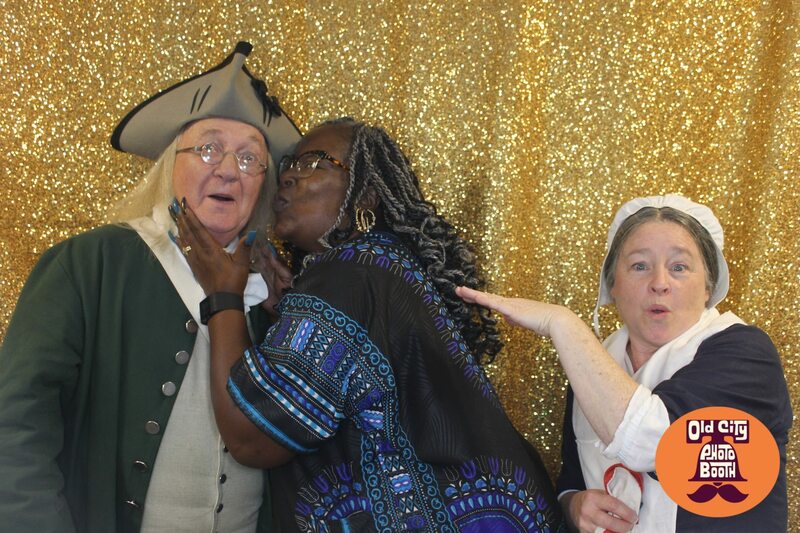 Whatever I do as Benjamin Franklin, I meet lovely people from all over the area and the world. One of my favorite types of group is the Senior Citizen folks to whom it is frequently my privilege to give an educational presentation. They are unfailingly pleasant and inquisitive. We old folks must stick together, after all. The most exciting thing that I have done this month was being a part of the dedication of the Gerry and Marguerite Lenfest Plaza at the soon-to-open American Revolution Museum. Yes, I said the Lenfests. For this wonderful venture, they are responsible for a matching grant that has raised $100 million for the museum. It was a joy to be part of a gathering of historical interpreters, academics, and interested people from all over the city on that day. And so, another month ends. Please let me know if I might provide a program for your group or organization.